FREE GIFT: 5 Simple Things You Can Do To Be Less Irritable With Your Child...the course! 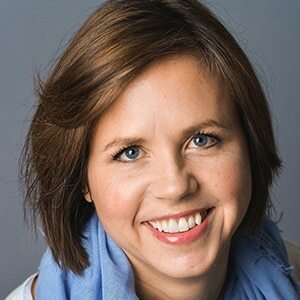 Hunter Clarke-Fields, MSAE, RYT, is a mindfulness mentor, coach, and creator of the Mindful Parenting course. She coaches moms on how to cultivate mindfulness in their daily lives. Hunter has over twenty years of experience in meditation and yoga practices and has taught mindfulness to thousands worldwide. Hunter is a widely-followed blogger and her writing has appeared in the Huffington Post, Tiny Buddha, MOPS, Elephant Journal, Mothering, and a number of other online magazines and websites. She is also the host of the Mindful Mama podcast and the mother of two active daughters, who challenge her every day to hone her craft!